Taylored Expressions March Stamp of the Month Blog Hop! Hello! It's time for the Taylored Expressions Stamp of the Month Blog Hop! This month's SOTM is called Take a Spin! What a fun set! It comes with an awesome wheel image and several fun coordinating images and sentiments! There is also a coordinating die set called Spin It to Win It! 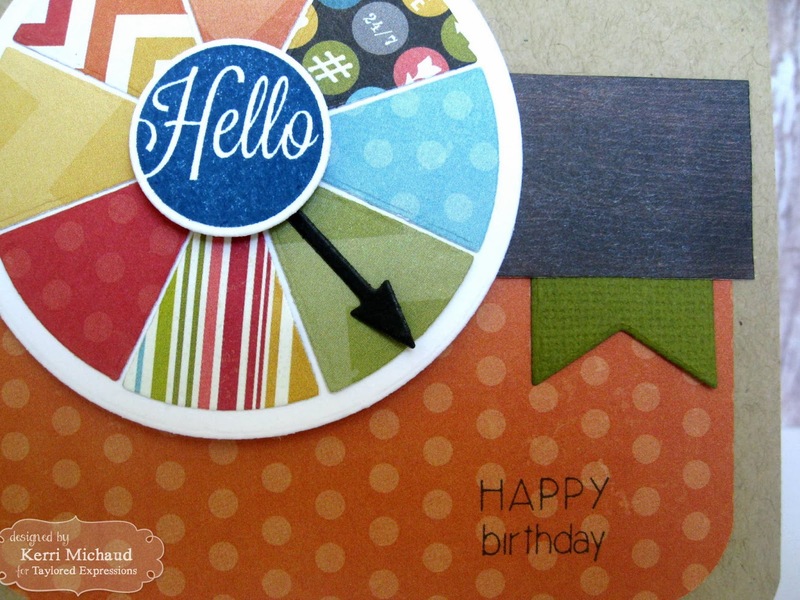 I used the die set on my card to cut the different pieces of dp for my wheel, the arrow, and to cut out the "hello" sentiment. You can find lots of inspirational projects using Take a Spin and the March Key Ingredients Kit by visiting these talented ladies' blogs! Thanks for stopping by today and happy hopping! 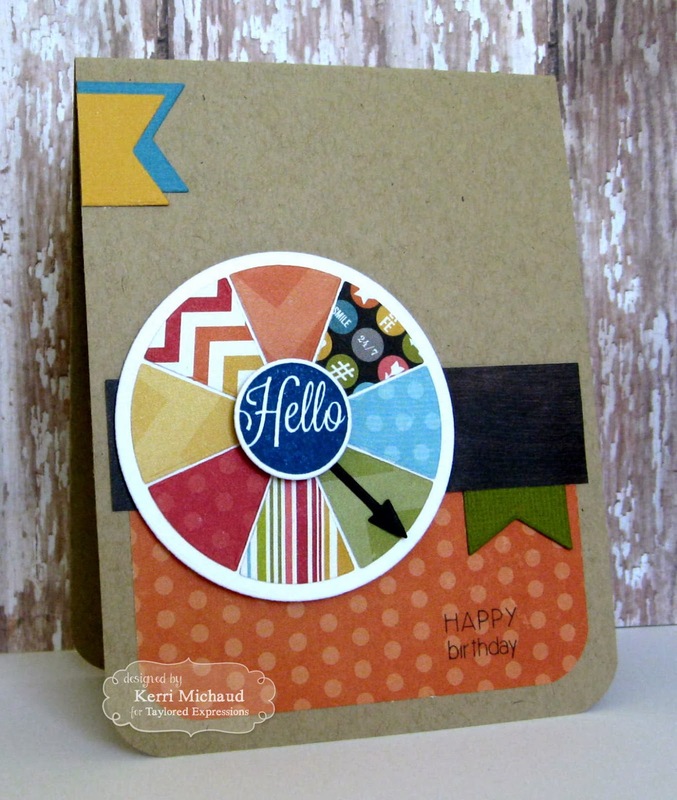 Love how you added the sentiment to the center of the wheel, Kerri...this is such an awesome design!!!! This is just gorgeous! I love the papers you combined on the game piece - they look wonderful together! Very pretty Kerri. Love the Kraft background! Wonderful, Kerri. The kraft paper is awesome as a base. Love the paper choices on your spinner. Thank your for the inspiration. love your simple design, Kerri!